Updates From Our Friend the Environmentalist and Actor Ed Begley, Jr.
Just received news/email from our friend Ed Begley Jr. (remember the show Living With Ed?!). 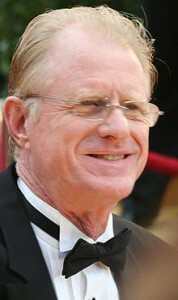 Our Friend the Environmentalist and Actor Ed Begley Jr. Apparently Panasonic just announced an exclusive brand license and endorsement agreement with our friend the environmentalist and actor Ed Begley, Jr. that Panasonic will use the endorsement of Ed Begley, Jr. in print and online campaigns to support the marketing of Panasonic HIT solar panels. HIT stands for “heterojunction with intrinsic thin-layer,” and the solar cells used are a hybrid with a unique structure comprised of a thin mono-crystalline silicon wafter surrounded by ultra-thin amorphous silicon layers. HIT solar modules are known for having extremely high conversion efficiency and excellent temperature characteristics, allowing HIT modules to generate more power throughout the year, even during peak summer months, compared to other types of crystalline modules. “Environmental lifestyles have changed much over the past few years. Solar has become an alternative to people who want to do something sustainable in their lives as well as save money. Solar can help them do both with quality solar panels like Panasonic’s HIT, government incentives, and solar leasing,” said Mr. Begley. “This agreement will help me reach customers and educate the public on the benefits of going solar. It has always been my mission to help people make greener lifestyle choices, and consequently create a brighter, healthier future for all of us.” Here at Sun Is The Future, we believe Panasonic made a fantastic choice in selecting Ed Begley, Jr. to endorse Panasonic HIT solar panels! More tips on solar energy and energy efficiency ideas below in the clip with Ed Begley, Jr. This entry was posted on Wednesday, January 11th, 2012 at 10:16 AM	and is filed under Business & Opprotunity, Events, News. You can follow any responses to this entry through the RSS 2.0 feed. You can leave a response, or trackback from your own site.